Teleseminar & Self-Study Coaching Program: The Genius Within - Calling on Your Natural Talents to make a Life More Fulfilling from Ready2Go Marketing Solutions, Inc.
Every one of us is born with a unique set of talents. They are natural, God-given abilities that come so easily that we often overlook as ‘special’. Our talents are the core of who we are - that never-changing part of ourselves that endures despite the tumultuous nature of the world we live in. As we go through life, we have a choice concerning our talents; and it’s a pretty big one! We can choose to struggle through life attempting to thrive in activities that really don’t align with our talents. In other words, we can ignore our talents in favor of focusing our effort on overcoming our weaknesses. Most people believe that their greatest improvements in life will come from overcoming their weaknesses. Do you believe this? On the other hand, we can choose to be in that growing camp of people who know otherwise, those people who have chosen to honor their talents and make sure that they are making the most of them in all they do. These are the people that know that leaning into their talents rather than focusing on weaknesses turns out to be a much better use of time in the quest for happiness and fulfillment. Of course, to use our talents first suggests that we must know what they are. Only in this way can we leverage them. So, do you know what your talents are? Do you even know how to recognize them operating in your daily life? If the answer to either of these questions is, no, this program will show you how to learn the language of your talents. In this program your participants will discover how to identify their natural talents, when to know if they are in use, and how they can integrate their talents into everything they do. 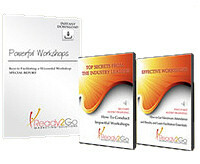 This program will teach participants to focus on their strengths instead of their weaknesses. It will show them ways to identify their own natural talents, using a variety of tools and resources. The more they know their talents, the more they can build a more fulfilling life around them. 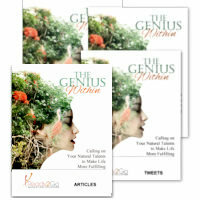 Discover how they each possesses natural talents and how to go about identifying these talents and recognizing them when they are in use in their lives. What the term ‘talent’ means and how the use of talents can dramatically impact their daily life. How to identify what gets in the way of expressing their talents, and what shift in perspective can help them avoid this from happening in the future. How to recognize when a talent is being used, and what common experience they feel when their talents are being honored in the activities they perform. Help them do foundational work of identifying their unique talents. Introduction: What does a “Great Day” look like? Participants explore what makes for a great, fulfilling day for them. Participants listen to a story that powerfully illustrates what a ‘talent’ is. Exploration of the concept of being a ‘genius” and explore reasons why it is difficult for people to see their own genius. Part 2: What Gets in the Way of Us Expressing Our Talents? Participants brainstorm what they feel are some of the biggest obstacles to expressing their talents. Participants perform and activity to illustrate when talents are in use and when they are not. Participants think of an activity they love to do and then determine possible talents at work. Participants identify what they have learned in the program and how they will apply that knowledge to better their lives.